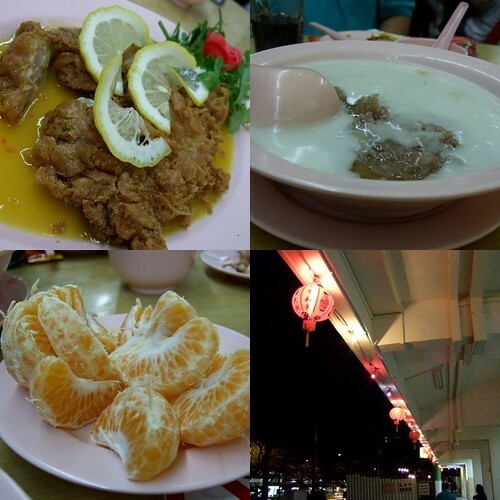 reunion dinner | Curious Foodie. 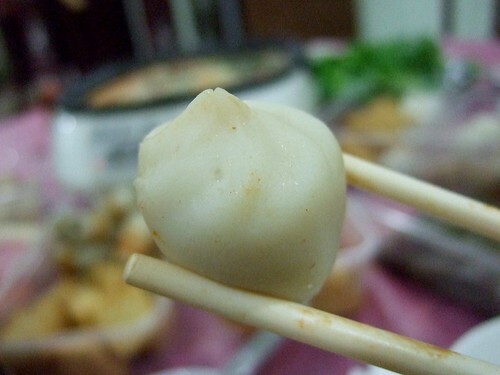 Fu Zhou (福州) Fish balls for Chinese New Year. Before I begin, please allow me to assure you that fish balls are not the balls of fish (if they have any to begin with). 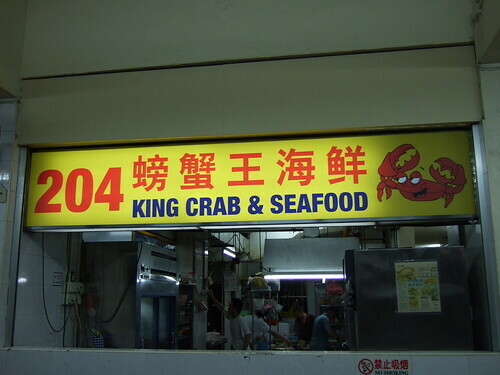 It is simply fish meat rolled into a ball. My intercultural communications professor had mentioned that his friend was disturbed by the term while visiting Singapore. I thought I’d better clear any cloud in this area first. 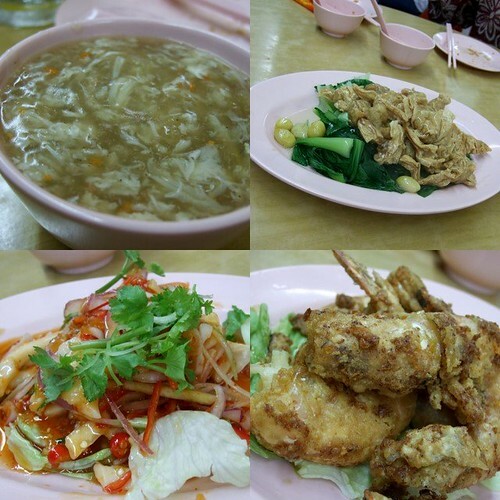 My reunion dinner last night at my grandmother’s place wasn’t boring nor entirely interesting. The food was the highlight of it all. I am not a fan of fish balls but I always look forward to having Fu Zhou (福州) fish balls during this steamboat dinner. My aunt’s family owns Li Chuan Food Products, so we get a lot of fresh and free steamboat food from her. I’m so blessed. 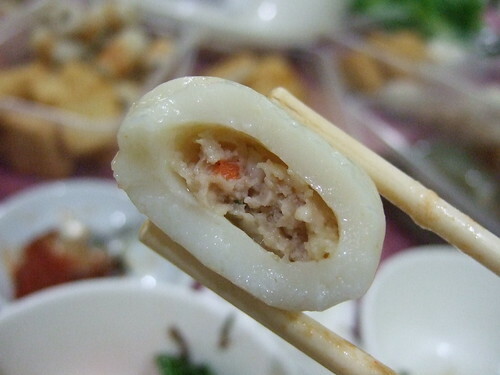 Traditionally, Fu Zhou fish balls is minced pork wrapped up in fish paste. 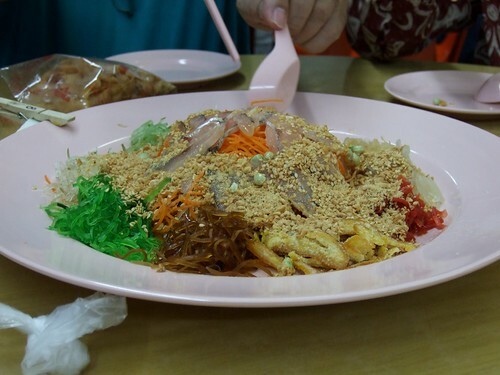 My family enjoyed a Halal version which had minced chicken inside instead of pork. It was still delicious. Here’s a Fu Zhou fish ball. Here’s it again after I’ve sinked my teeth into it. Mmmm all that flavour in the juice of this fish ball, a little taste of savoury heaven.